This analyzer provides group-type determination of total aromatic hydrocarbons and total aromatics in additive-free lube basestocks (heavy paraffinic petroleum distillates) using HPLC with Refractive Index Detection (RI) . The analyzer meets the precision and quality control specifications established in the ASTM D7419-13 Standard Test Method. The analyzer can be built on NEW (i.e. 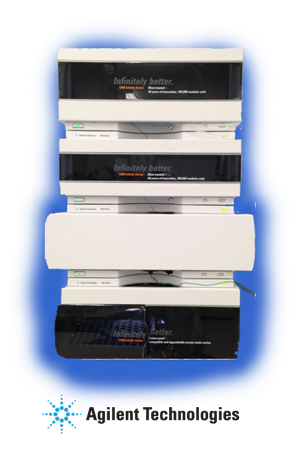 Agilent 1260/90 Infinity HPLC) or refurbished instrumentation (i.e. Agilent 1100, 1200). On-site installation, performance verification, and training can be provided. Copyright © 2018 Envantage Inc. All Rights Reserved.